An international Israeli conspiracy to kidnap children and harvest their organs is gathering momentum as another shocking story divulges Tel Aviv’s plot to import Ukrainian children and harvest their organs. The story brings to light the fact that Israel has brought some 25,000 Ukrainian children into the occupied entity over the past two years in order to harvest their organs. It cites a Ukrainian man’s fruitless search for 15 children who had been adopted in Israel. The children had clearly been taken by Israeli medical centers, where they were used for ‘spare parts’. The account was unveiled five days ago by a Ukrainian philosophy professor and author, Vyacheslav Gudin, at a pseudo-academic conference in the Ukrainian capital, Kiev. Gudin told an estimated 300 attendees of the Kiev conference that it was essential that all Ukrainians be made aware of the genocide Israel was perpetrating. The conference also featured two professors who presented a book blaming “the Zionists” for the Ukrainian famine of the 1930s, as well as the country’s current condition. Meanwhile, Ukrainians demonstrated outside the Israeli Embassy in Kiev on Tuesday to protest a letter signed by 26 Knesset members (MKs) condemning what they described as anti-Semitic remarks by presidential candidate Sergey Ratushnyak. Protesters chanted ‘Ukraine isn’t the Gaza Strip,’ suggesting that they consider the effort by the Israeli MKs as an intervention in their country. According to the story, bands of Moroccans and Algerians had been roaming the streets of Algerian cities in an attempt to hunt around for young children. They then trafficked the kids across the border into the neighboring Morocco. The children were then sold to Israelis and American Jews in Oujda, the capital of eastern Morocco, for the purpose of organ harvest in Israel and the United States. The story is based on statements made by Mustafa Khayatti, head of the Algerian National Committee for the Development of Health Research. Khayatti maintains that the abduction of children in Algeria is linked to arrests made in New York and New Jersey at the end of July, in which several Jewish men were among the 44 arrested in connection to an investigation into illegal organ trafficking and political corruption. The story comes in line with the article published last month in Aftonbladet, Sweden’s largest circulation daily, suggesting that the Israeli army kidnapped and killed young Palestinians to harvest their organs. It shed light on the case of Bilal Ahmed Ghanem, a 19-year-old Palestinian man, who was shot dead in 1992 by Israeli forces in the West Bank village of Imatin. Bostrom, who witnessed the man’s killing, said Ghanem’s body was abducted following the shooting and was returned at midnight, during an imposed curfew, several days later by the Israeli military with a cut from the stomach to the neck that had been stitched up. Bostrom argued that an autopsy would be required if the cause of death was not apparent, while in this case it was clear that Bilal was shot dead. After that incident, at least 20 Palestinian families told Bostrom that they suspected that the Israeli military had taken the organs of their sons after they had been killed and then taken away by Israeli forces before being dropped back in the area. 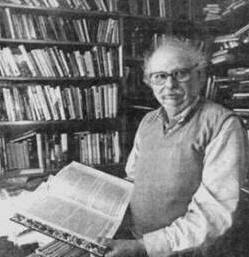 The rabbis are Saul Kassin, 87, chief rabbi of Sharee Zion, a synagogue in Brooklyn, New York; Eliahu Ben Haim, 58, the principal rabbi of Congregation Ohel Yaacob in Deal, New Jersey; Edmond Nahum, 56, of Deal Synagogue in Deal; Mordchai Fish, 56, of Congregation Sheves Achim in Brooklyn; and Lavel Schwartz, 57, Fish’s brother. The rabbis were charged with laundering money that often was sent to Israel. They are members of the Syrian Jewish or Hasidic Jewish communities, Marra said at the news conference. Authorities issued a warrant for Schwartz’s arrest. 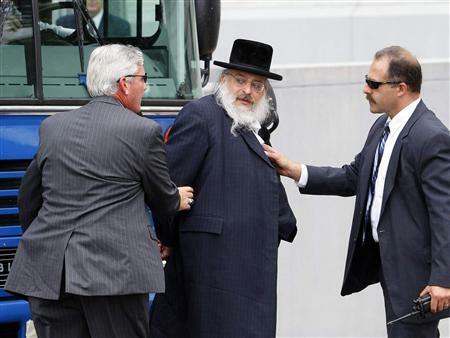 The other four rabbis were arrested yesterday and appeared in court. Kassin is accused of laundering more than $200,000 through Dwek from June 2007 through December 2008 by accepting “dirty checks” from him and exchanging them for “clean” checks, according to prosecutors. Falk imposed a $1.5 million bail bond and electronic monitoring on Ben Haim. His attorney, Michael O’Donnell, declined comment. Falk set a $700,000 bail bond on Nahum. Nahum was implicated by “a person who obviously has his own problems and tried to limit his exposure” to criminal charges, Walder said. Fish, Schwartz and two other defendants used a charitable, tax-exempt organization called BCG, which was associated with Fish’s synagogue, to launder money by using money transfers, according to the FBI. 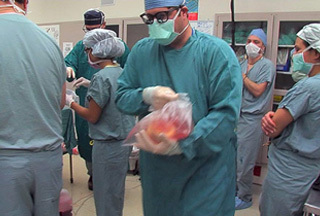 Levy-Izhak Rosenbaum, 58, of Brooklyn, was accused of conspiring with others to acquire and trade human organs for use in transplantation. Rosenbaum, who was “purportedly” involved in real estate, was approached by a cooperating witness and an undercover FBI agent about buying a human kidney from a human organ broker, according to the complaint. Attorneys for Rosenbaum and the other suspects either couldn’t be identified or couldn’t be reached for comment. Michael Himmel and Christopher Porrino, lawyers for Dwek, didn’t return calls or e-mails requesting comment. Agents arrested 37 suspects yesterday, two surrendered, and three, including Smith, are expected to surrender tomorrow. Authorities issued arrest warrants for two other suspects. Agents also searched the house of Joseph Doria, a former Democratic assemblyman and the commissioner of the state Department of Community Affairs. He hasn’t been charged. They also searched the offices of the president of St. Peter’s College, a school in Jersey City, as well as a synagogue in Deal, Dun said. “Any corruption is unacceptable — anywhere, anytime, by anybody,” New Jersey Governor Jon Corzine, a Democrat seeking re-election against Republican Christopher Christie, the former U.S. attorney in New Jersey, said in a statement. Doria resigned yesterday at Corzine’s request, the governor’s spokesman said. The arrests yesterday emerged from an investigation that spans a decade and has led to two earlier roundups. “ACCORDING TO THE JEWISH religion, the murder of a Jew is a capital offense and one of the three most heinous sins (the other two being idolatry and adultery). Jewish religious courts and secular authorities are commanded to punish, even beyond the limits of the ordinary administration of justice, anyone guilty of murdering a Jew. A Jew who indirectly causes the death of another Jew is, however, only guilty of what talmudic law calls a sin against the ‘laws of Heaven’, to be punished by God rather than by man. “When the victim is a Gentile, the position is quite different. A Jew who murders a Gentile is guilty only of a sin against the laws of Heaven, not punishable by a court. To cause indirectly the death of a Gentile is no sin at all. “Thus, one of the two most important commentators on the Shulhan Arukh explains that when it comes to a Gentile, ‘one must not lift one’s hand to harm him, but one may harm him indirectly, for instance by removing a ladder after he had fallen into a crevice .., there is no prohibition here, because it was not done directly: He points out, however, that an act leading indirectly to a Gentile’s death is forbidden if it may cause the spread of hostility towards Jews. “A Gentile murderer who happens to be under Jewish jurisdiction must be executed whether the victim was Jewish or not. However, if the victim was Gentile and the murderer converts to Judaism, he is not punished.